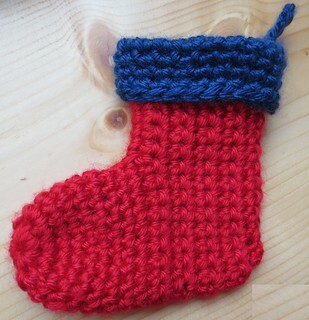 The Warmth for Warriors organization is once again requesting homemade mini Christmas stockings for the troops. 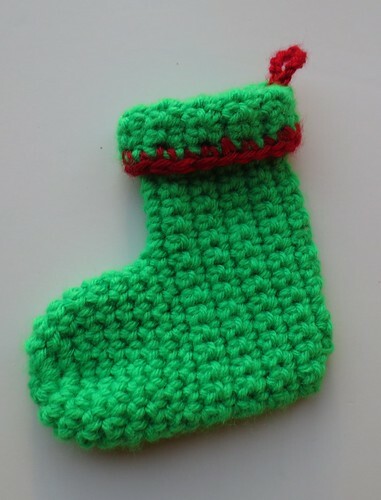 For the last several years, I have been heading up the yearly drive for the group on Ravelry and promoting the stocking drive on other sites. 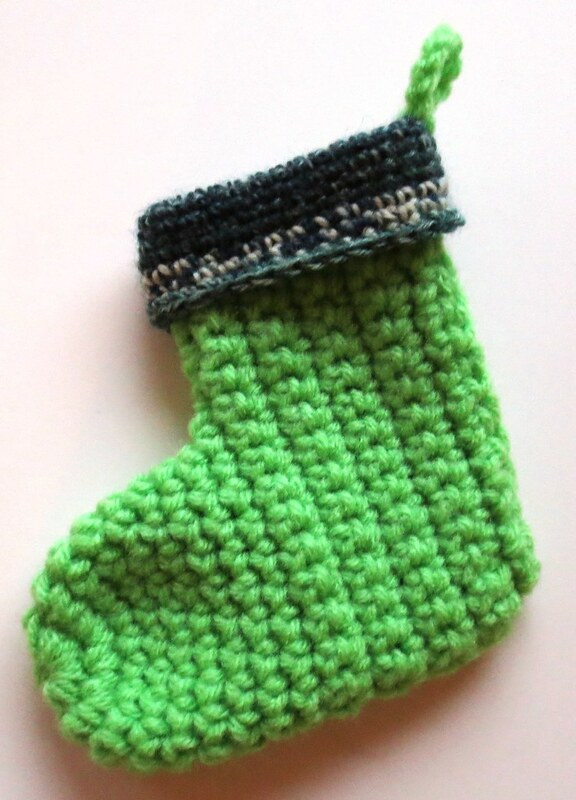 Each year we ask for handmade crocheted, knitted, sewn, or woven mini Christmas stockings be crafted to about 6 inches long. They are then filled with little goodies at the Warmth for Warriors headquarters before being sent off in early November to soldiers overseas. In 2017, over 2800 stockings were stuffed with soaps, shampoo, candies and other little treats as a small gift for our troops for Christmas. 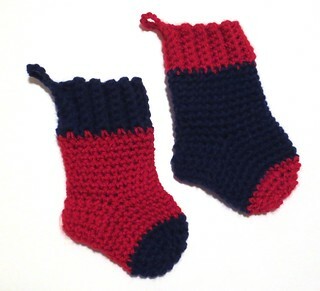 The filled socks are just a little gift to brighten spirits for our troops during the holidays. 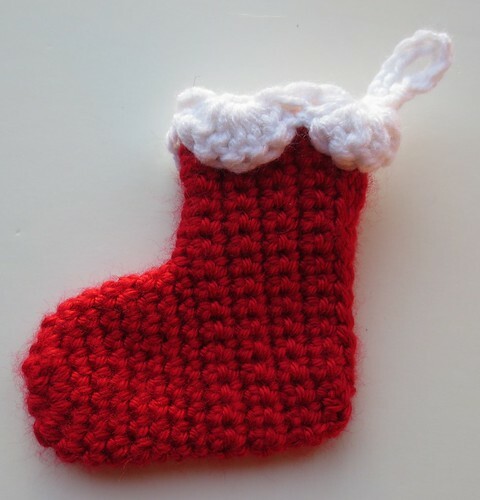 I have several different free crochet patterns available on my site to inspire people to make stockings for the Warmth for Warriors. I hope that others will be inspired and help us in this year’s campaign. Here is the top-down mini Christmas stocking pattern featured in the above photos. Below is my mini cuffed Christmas stocking pattern that has a few different options. You can crochet it all in one piece for a folded-over cuff, add a contrasting color either in a scalloped stitch or just a different yarn as shown in these stockings. 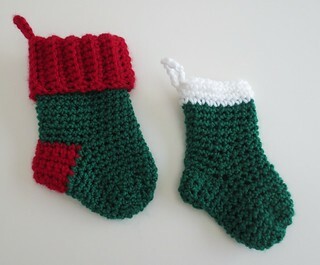 As you can see, there are many different patterns and options to keep you motivated and inspired to make mini Christmas stockings for the troops. Please come join us over at Ravelry or Crochetville if you are interested. Thank you all in advance for any help you can provide us. This is nice post for mini christians stocking for the troops . This is nice post for mini christmas stockings for the troops and having right way to see you here . Thanks a lot for sharing with us ! !